Many challenges face the oil and gas pipeline industry. Chief among them are regulatory constraints and third-party opposition. However, an increasingly united coalition of trade associations and individual stakeholder companies are working to shape permitting policies and public opinion to ensure pipelines are built, operated and maintained safely and efficiently. Domestic and global energy demand continues to grow, and North American oil and gas production has grown alongside. The problem is transporting the product to the end-user. More pipelines are needed to ease supply bottlenecks and ensure energy demands are met. Despite high-profile incidents, such as the tragic explosions in Massachusetts on Sept. 13, pipelines remain the safest means of transportation for oil and gas compared to alternative means, such as truck or rail, according to the Pipeline and Hazardous Materials Safety Administration (PHMSA), which operates under the U.S. Department of Transportation. Pipelines are also more efficient. 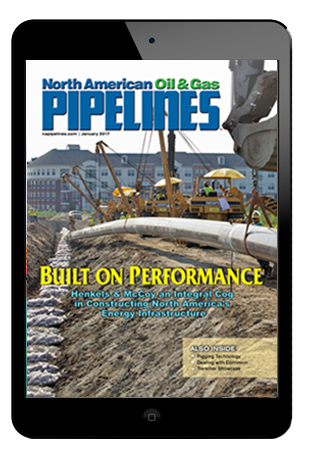 A network of more than 2.6 million miles of pipelines in the United States deliver trillions of cubic feet of natural gas and more than 19 million barrels per day of liquid petroleum products each year, according to U.S. government data. By contrast, it would take a constant line of tanker trucks, about 750 per day, loading up and moving out every two minutes, 24 hours a day, seven days a week, to move the same volume as a single pipeline. The railroad equivalent would be a train of 75 tank cars, each with a capacity of 2,000 barrels, delivered daily. With the U.S. energy industry booming, pipeline infrastructure must expand to bring the production to the manufacturing facilities and ultimately to the end consumers, says Tim Aydt, president of Findlay, Ohio-based Marathon Pipe Line LLC (MPL), a subsidiary of MPLX LP, which is a diversified, growth-oriented master limited partnership formed by Marathon Petroleum Corp. (MPC) to own, operate, develop and acquire midstream energy infrastructure assets. To aid the safe and efficient development of pipelines, energy industry stakeholders are ramping up advocacy efforts to expand support for these development efforts. Individual companies like MPL and industry associations such as the American Petroleum Institute (API), the American Pipeline Contractors Association (APCA), the Distribution Contractors Association (DCA), the Interstate Natural Gas Association of American (INGAA), the Pipe Line Contractors Association (PLCA) and many others are working together to get the message out through a combination of federal and state government advocacy efforts, letter writing campaigns, social media, community engagement, public forums and other avenues. Creating jobs, however, is not the only benefit that pipeline projects provide, says Eben Wyman, principal at Wyman Associates, a government relations firm based in Washington, D.C., which has served DCA as its client since 2012. While DCA has been involved with efforts to reform the pipeline permitting process and other federal issues, Wyman stresses the importance of attending local townhall forums in support of projects. Aydt believes community events also provide opportunities for pipeline advocacy. Misinformation represents one of the biggest challenges to winning the argument in favor of pipelines, says Stuart Saulters, policy advisor at API for its downstream and industry operations division. To combat these messages, Saulters says the pipeline industry must engage “the right audience with the right message through the right avenues.” While the API and other groups have created commercials and other campaigns to reach the public, the industry must go a step further. Early last year, MPL started its “E2 – Engaged in Energy” initiative, which is an internal company program aimed at educating employees on the benefits of oil, providing a global energy perspective and sharing with the public the benefits of oil and pipelines. MPL also integrates this “energy champions” message into all public awareness and engagement activities it conducts. One of the greatest resources available to companies and trade associations are the people who work in the oil and gas pipeline industry. 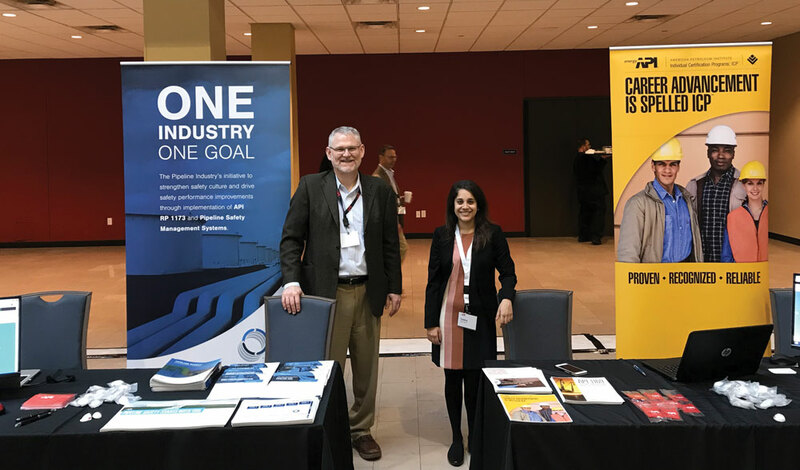 These everyday folks can help provide a more personal connection to the pipeline industry for their friends and neighbors. “Employees and their stories are a valuable and underused resource for advocacy,” Aydt says. “Every individual has a trusted circle of influence. By sharing their story and providing an informed opinion to others, they can impact change and assure all sides of the issue are considered. When we educate our employees and others, they are more confident in their position and are more willing to speak up for our industry and the good it does for society. The PLCA is relative newcomer to the pipeline advocacy coalition, says Rob Riess, president of the PLCA and vice president and pipeline division manager at Henkels & McCoy Inc. Historically, the association was primarily focused on negotiating industry labor agreements with the four craft unions that make up the industry’s workforce: The International Brotherhood of Teamsters, Laborers International Union of North America (LIUNA), International Union of Operating Engineers (IUOE) and the United Association of Journeyman and Apprentices of the Plumbing and Pipe Fitting Industry (UA). However, changes in the industry led the PLCA to become a more active participant in supporting the pipeline industry. The association recognized a need for the pipeline industry to work more closely together, says Elizabeth Worrell, who joined the PLCA in 2017 and assumed the role of managing director and chief legal counsel in January. The PLCA is now trying to better promote the work it does and educate the public about the positive impacts of the pipeline industry. Pipeline advocacy takes many forms, whether it’s making the case on Capitol Hill or interacting with the public. Here, API takes the opportunity to discuss its valuable programs and standards at conferences. One story that Worrell believes doesn’t get told enough is the economic impact of the pipeline industry on local communities and the national economy. The other side of pipeline advocacy has to do with shaping regulations. There too, Saulters says, a united front is important. 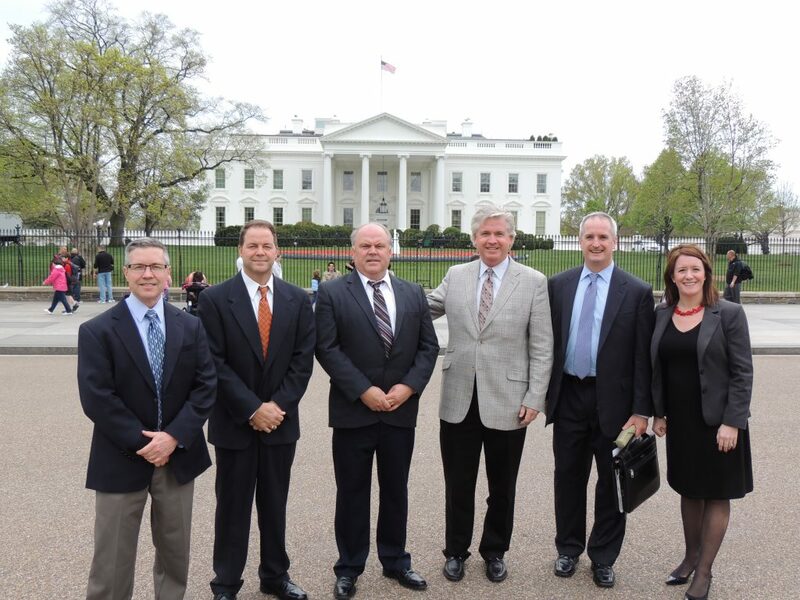 While API’s more than 600 members represent a majority of the companies involved with liquids production and transportation, the association also partners with other groups, such as INGAA, to provide one voice when it comes to working with PHMSA, Congress and other regulators. However, Capitol Hill isn’t the only place pipeline advocacy is needed. Lobbying efforts are also important on the state and local level, Wyman says. Opposition forces are particularly strong in local forums. The pipeline industry needs to participate in these venues or risk allowing the opposition to dictate the narrative. Public information meetings represent an opportunity for the pipeline industry to meet directly with the people who will be impacted by a project. This is one of the primary ways the PLCA has shown its support for the industry. Aydt agrees with that sentiment.